The New Zealand String Quartet has enjoyed three decades of acclaim for its programming vision, exciting performances and award-winning CDs. 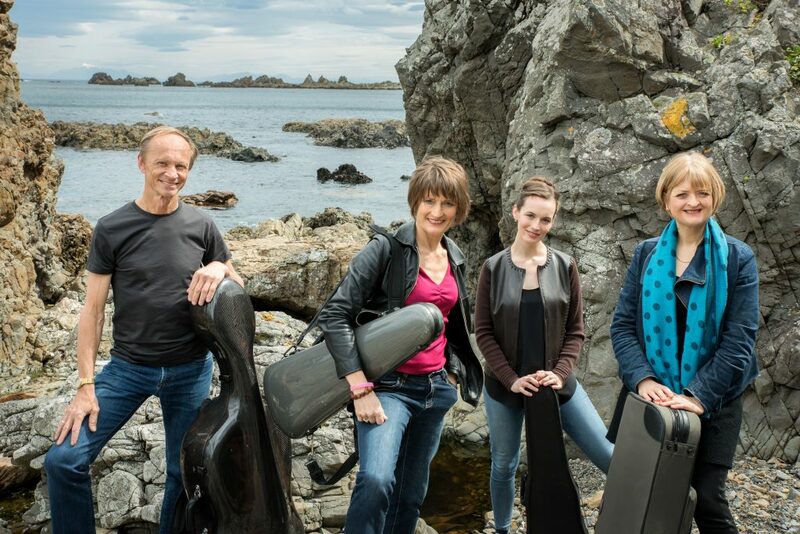 Based in Wellington, the quartet is sought-after for its imaginative and varied programming, including revelatory performances of the classical quartet repertoire and exciting realizations of newer works from contemporary composers, many from New Zealand. On tour to major centers throughout Europe, Asia, Australia and North America, the New Zealand String Quartet’s world-class performances have garnered significant praise. Of its recent festival appearance in London, The Strad noted the New Zealand Quartet “played with terrific verve and precision” a good example of the critical acclaim earned by this remarkable ensemble for its anniversary Beethoven cycle and its newest commissions of works by its countrymen. The quartet has recorded extensively, including the complete Mendelssohn quartets, the Brahms quartets and Brahms’ clarinet quintet with James Cambpell for Naxos Records. Soon to be released are the Brahms viola quintets with Maria Lambros. 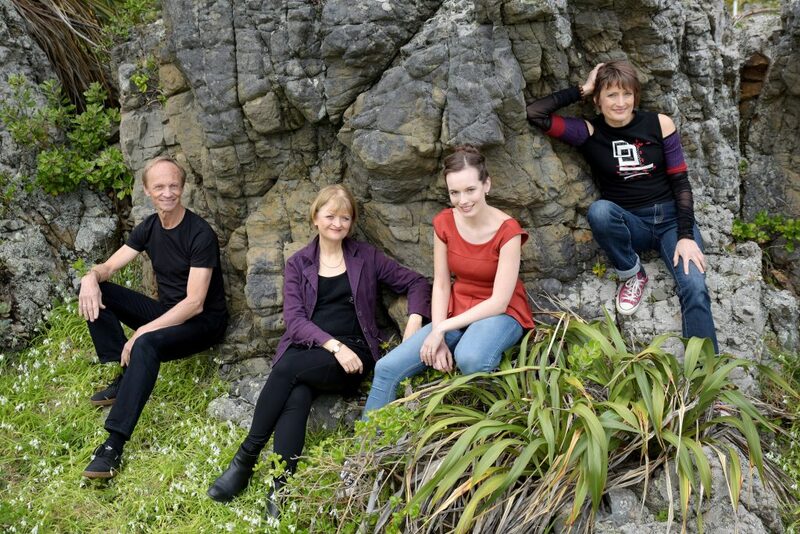 On the Atoll label, the NZSQ has made acclaimed recordings of New Zealand composers John Psathas, Ross Harris, Jack Body, Michael Norris and Dame Gillian Karawe Whitehead (quartet and Taonga Pūoro with Richard Nunns), along with works of Bartok and Dvorak. More info and link to discography. The New Zealand Quartet has recently returned to London’s Wigmore Hall while on tour through England and Europe. North American tours have spanned the distance from Hawaii to Montreal, and featured engagements for distinguished series at UCLA, the Library of Congress and Dumbarton Concerts in Washington, DC to the Frick Collection in New York and beyond. 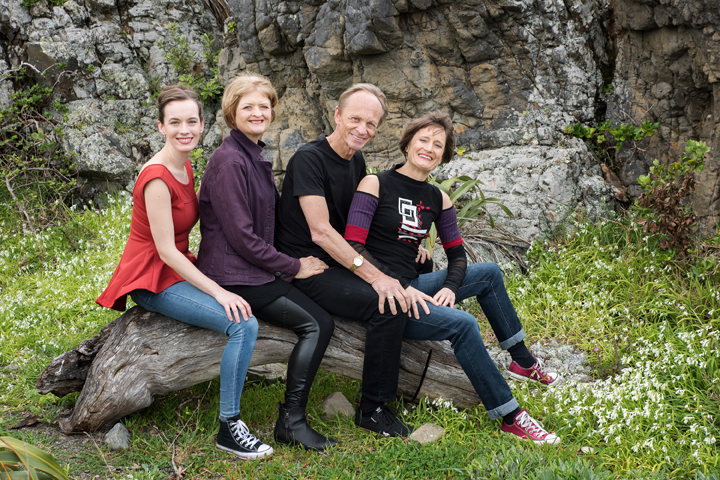 In addition to their unique status in the performance of original New Zealand compositions, this remarkable quartet has been hailed for their performances of the Beethoven Quartet cycle. The quartet has toured the Bartok cycle (which it has also recorded) as part of the observance of the fiftieth anniversary of Bartok’s death. The group’s exceptionally wide and varied repertoire features the standard classical literature and the works of our time — including its premiere of more than 20 works by New Zealand composers. Its initial performing rights to Zoltán Székely’s recently discovered 1937 string quartet resulted in a landmark recording. Székely, a student of Kodály, was Bartók’s long-time sonata partner and leader of the Hungarian String Quartet. The Székely recording is paired with the Dvorak Quartet in E flat, opus 51. The group has been featured on North America’s popular public radio program St Paul Sunday, and has recorded for Deutsche Welle, CBC in Canada, and Australia’s ABC, as well as regularly appearing on Radio New Zealand’s Concert FM. 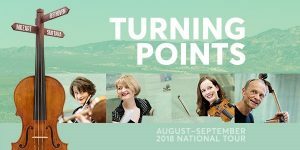 As dedicated teachers, the New Zealand String Quartet is in residence at Victoria University of Wellington and have established the highly regarded Adam Summer Chamber Music School for the country’s most accomplished string and piano students. 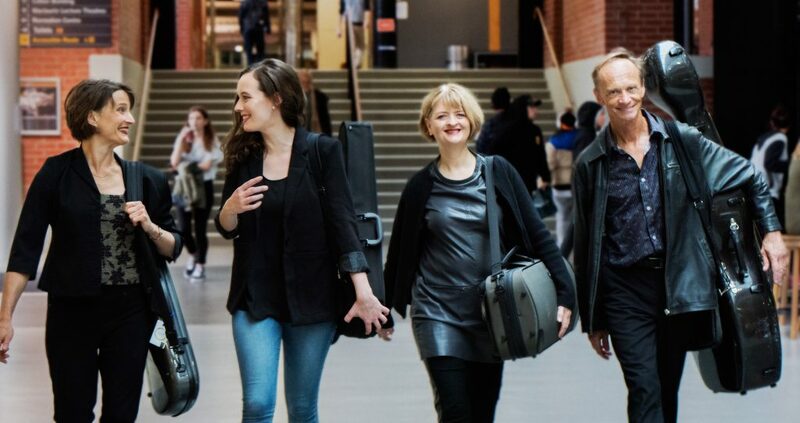 In North America, the quartet has been guest faculty at the Banff Centre, Quartet Fest West, and the Quartet Program at Bucknell University, and given master-classes and workshops at countless colleges and universities on the continent. 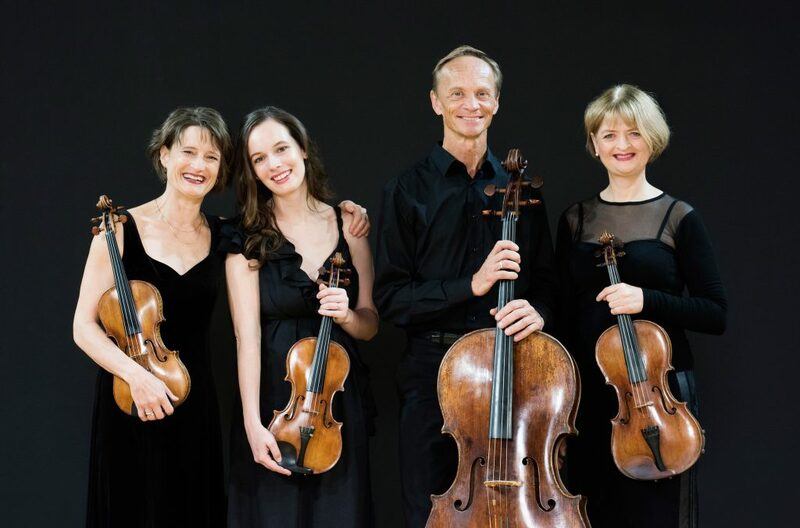 Following the NZSQ’s 13 concert National Tour in June and July, and a recording session for Naxos, you can hear the quartet in Canada in August 2019. 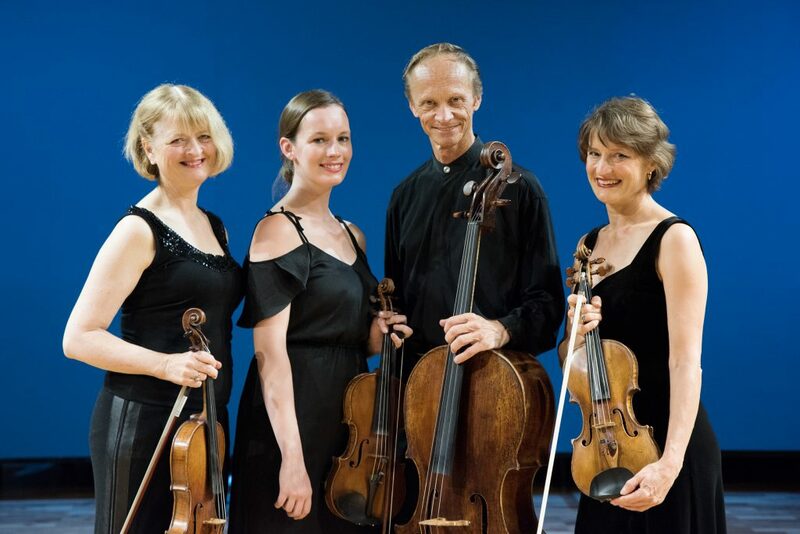 The quartet returns to the Toronto Summer Music Garden, celebrates the 40th anniversary season of the Festival of the Sound and takes a debut turn at the Pender Harbour Chamber Music Festival. An evening of Mozart, Gareth Farr, and Shostakovich. US-based New Zealand pianist Nicola Melville joins us for Shostakovich’s Piano Quintet. We’re joined by violists James Dunham and Ivo-Jan van der Werff, and cellist Desmond Hoebig, for a concert including Mozart’s Quintet in G minor K. 516, Gareth Farr’s Te Tai O Rehua (The Tasman Sea), and Dvorak’s Sextet in A Op. 48. 8 November 2018 | 7pm, Performing Arts Center Recital Hall (New Orleans, Louisiana) A concert of works by Mozart, Gareth Farr, Natalie Hunt, and Beethoven in the University of New Orleans School of the Arts Musical Excursions series. A return performance in Göttingen with works by Mozart, Janacek, and Beethoven as part of the Freunde Spielen für Freunde (Friends Playing for Friends) Concert Series. Founded in the 1880s, Conway Hall chamber music concert series is the longest-running of its kind in Europe. Featuring three Beethoven masterpieces, this concert charters the journey of his compositions for string quartet through three different periods. An all-Beethoven concert for the Music on Mondays concert series presented by the Luton Music Club. Amati viola joins the NZSQ! A particularly rare viola made in Cremona in 1619 by the master Nicolò Amati is now in the hands of NZSQ violist Gillian Ansell. This remarkable instrument started its life as an 18-inch “tenor”. More on that, and Gill’s comments about the “sweetness and complexity of the sound” at this link.